Ever need a little push? 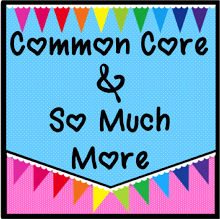 This week I got an email from Melissa at Common Core and So Much More telling me that I would be her Featured Clip Artist this week. She asked for a link to a freebie. 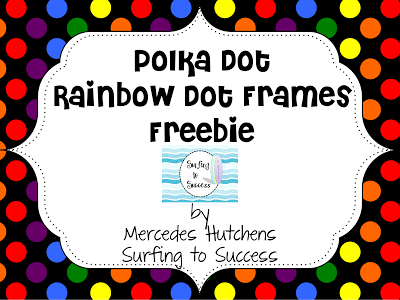 It was just the little push I needed to create a new freebie. Once I started making my Fraction Task Cards, they kind of became all consuming and it has been a while since I made anything pretty. I use my Polka Dot Frames a lot at school. They are a quick way to make something look nice without any work. So, I thought if I could use some new ones, so could you. This freebie has 10 PNG frames. Simply insert them as a picture into PowerPoint. You can put a text box on top and they can be used for anything from posters to PowerPoint backgrounds. 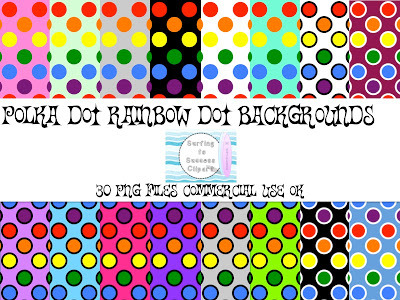 I ended up making 30 backgrounds with rainbow dots. 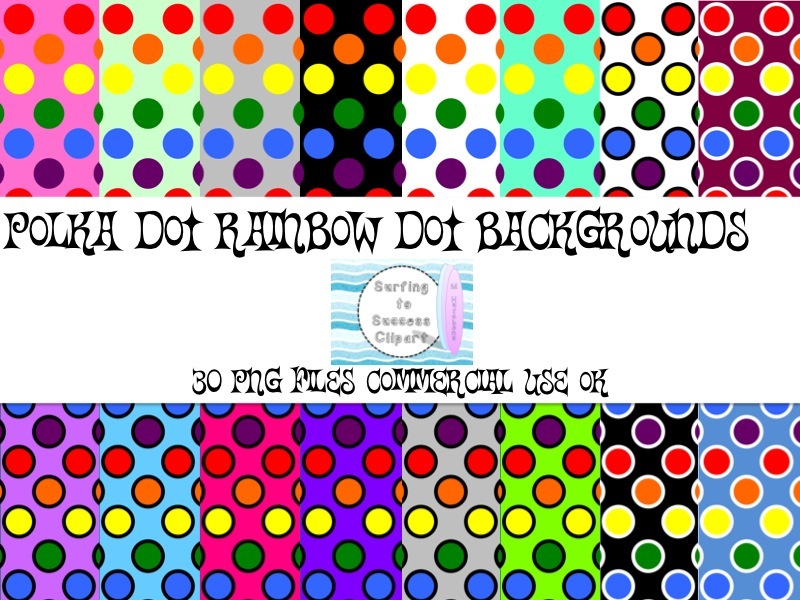 If you like creating your own products, you probably are as addicted to backgrounds like I am. You can find the backgrounds in my store for $3. 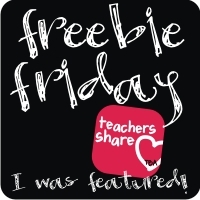 If you are new to my blog and store, you can check out my other freebies here.